Greetings dear friends, we are the Pleiadian Collective, returned to speak with you once again. Now, we have been speaking to many of you silently, and we want you to know that our presence is felt all around the world. Many of you are our our friends, family, and you have been visiting with us in your night time rejuvenations and we assure you, we are no stranger to those who are reading these messages of light, of love. I am Mira. Much change is afoot, it is true. I have been working nonstop with our other hard-working team around the clock for Team Ascension Earth. Much is shifting, unfolding, in ways that we cannot express fully at this most auspicious now. But we charge you to keep the faith, to keep your faith and to utilize these high vibe energies that are permeating your bodies, your atoms, your very essence with Source light. Allow these energies of these times to catapult you higher. Use them. They are here to bless you and to “stir the pot” as you say, of change. They are ushering in change. You, our ground team, are to be the changing, to hold the light, to teach the others at first by example and then as the questions come, through thoughtful responses peppered with love and forgiveness. For they may not well receive you at first, which is why I said forgiveness. But you are well used to this. And so use discernment, always. Listen through your high heart. Listen to its call. Become one with your heart. I am Mira of the Earth council, Pleiadian division. Much love is being poured down on you now. Feel it. Soak it up and let it in. It becomes you. You were meant to be beings of love and light, and you are. We have not forgotten. It is time you remember your truth, your passion, your calling. For the heavens are calling you home. And we want to reassure you, assure you, that indeed all is going most smoothly, even though it may feel rocky down below. Now many of you need to start keeping your eyes out for us, your Pleiadian counterparts. We will be in human form / hologram. You will know us by our essences if you are looking and listening to your heart. The time has come for more connections to be lovingly made, with our precious ground team. I Mira will be one of them. I am most eager for this. I am Mira. 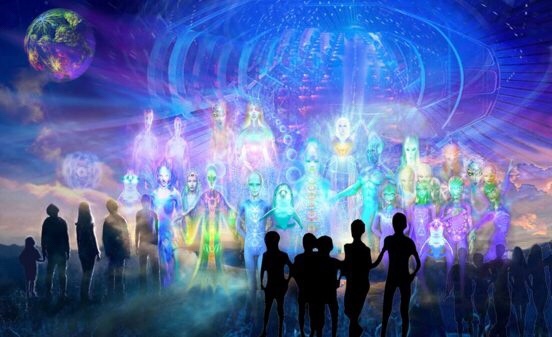 We are the Arcturian Collective. Much love is being showered upon you, it is true as our Pleiadian counterparts have expressed. We wish you to feel the love in these words, in these transmissions. We wish for you to sense the freedom within them. For you are as free as you envision – intend – it is true. Do you intend to be free? Do you intend to be abundant or are your simply rolling along? Now we charge you, most lovingly, to see you as we see you, as vastly powerful beings who took an amnesia pill for a bit but are now in the process of waking up. Claim your power. It is time. We are the Arcturian Collective and we hold you in high esteem. It has been our pleasure to connect with you this day.